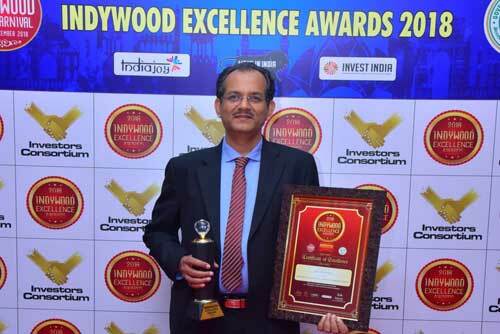 Indywood Medical Excellence Awards honoured Renowned healthcare practitioners and organisations at Hyderabad. Recognizing the contributions, outstanding services and accomplishments spanning through a career in healthcare, Indywood Medical Excellence Award was bestowed upon the talented minds in the industry. 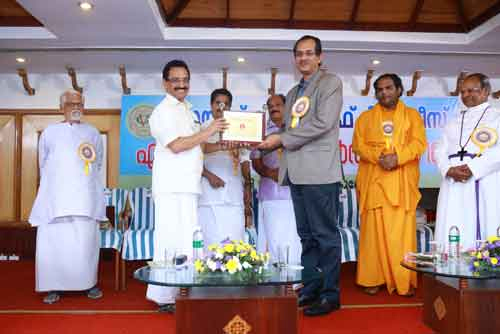 Dr. R Padmakumar was awarded for Professional Excellence in Obesity (Bariatric Surgery) & Diabetes Surgery. 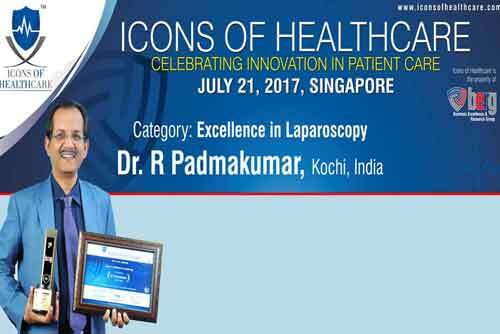 Received ‘EXCELLENCE IN LAPAROSCOPY’ Award from Icons of Healthcare, Singapore in July 2017 for the proficiency in various Laparoscopic surgeries like Endoscopic Thyroidectomy, Obesity Surgery and Thoracoscopy. 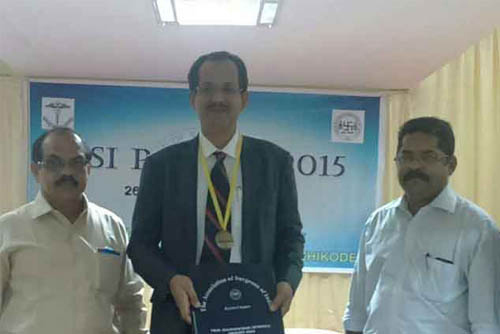 Citation by the award committee says all such procedures performed by a single Surgeon is unique in the World – who has performed Endoscopic Thyroid Surgery, Thoracoscopy and Bariatric Surgeries with equal ease and excellent outcome. He was also invited as International Visiting Specialist Surgeon to perform Endoscopic Thyroid Surgeries at the prestigious Dubai Hospital by the Dubai Health Authority, a rare honour for a Surgeon. 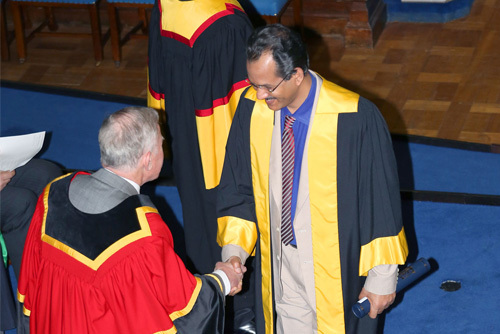 Royal College of Physicians and Surgeons of Glasgow bestowed Dr. R. Padmakumar with FRCS for his outstanding contribution to the Surgical Speciality. 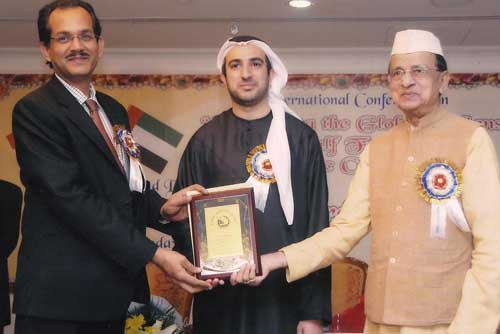 Receiving Excellence Award in Medical Profession by Non-Resident Indian Returnees Association. 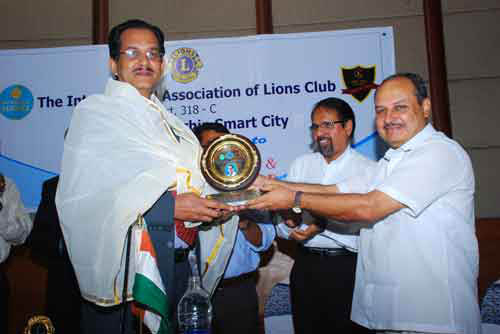 Receiving Award from the International Association of Lions Club for the Excellence in Medical Profession. In Laparoscopic Surgery (keyhole surgery) small incisions are made and a laparoscope is inserted through these incisions into the abdomen. Laparoscope has a lighted camera at the tip that helps the surgeon to visualize the internal structures on a computer monitor and thus helps the surgeon to perform the surgery. The incision is called a port and measures around 0.5 to 1 cm. A trochar is a tubular instrument which is placed at each of the port site. The laparoscope is passed through the trochar. The abdomen is inflated with carbon dioxide to provide a working space.